Products you can trust installed by the experts. Auric Energy has the experience you need to execute a seamless installation. We understand how to design an efficient and aesthetically pleasing solar array because we have the most experience in the industry. At Auric Energy, we do our installs right. Auric takes a comprehensive approach to each system’s design, and is straightforward and transparent about what is the best for you. All of our installations are preplanned and shaped digitally in the design phase. This approach maximizes efficiency and quality – which ultimately saves you money. When the design is finished and it’s time to install, our expert installation team takes over. Our installers are trained by professionals with NABCEP certification – the highest in the industry. 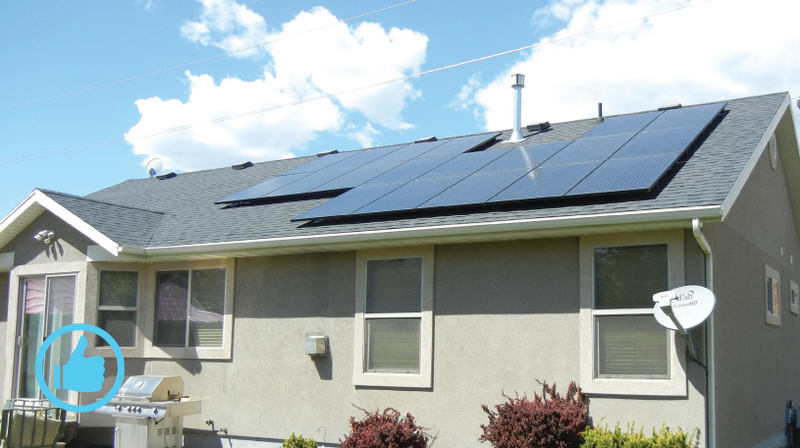 We get your solar system up and running faster than anyone in the industry, so you can start saving money quickly. Engineering your solar power system. Scheduling the net meter installation from your power company. Completing and submitting your solar tax documents. Providing follow-up communication to ensure customer satisfaction. Providing lifetime monitoring with automatic alerts. A good solar installation is aesthetically pleasing, with the wiring concealed. This solar array not only has a poor aesthetic design, but it exceeds manufacturer loads. These panels are tucked neatly onto the roof so that wind won’t cause damaging uplift. Poor wire management will lead to failure from water/heat exposure. Conduit keeps a solar system’s wiring safe from weather and exposure. This conduit has been painted to match the brick and wood paneling, making it less noticeable as well as safe. The wire management on this array is a code violation that will result in failure of the system. These panels are arranged to optimize production and maintain the aesthetic of the home while meeting the homeowner’s power needs. The arrangement makes the best use of the roof space and doesn’t have any awkward gaps. Shaded panels will not produce even 30% of their potential. The panels on this roof are at least 18 inches away from the edge so that they meet fire code. 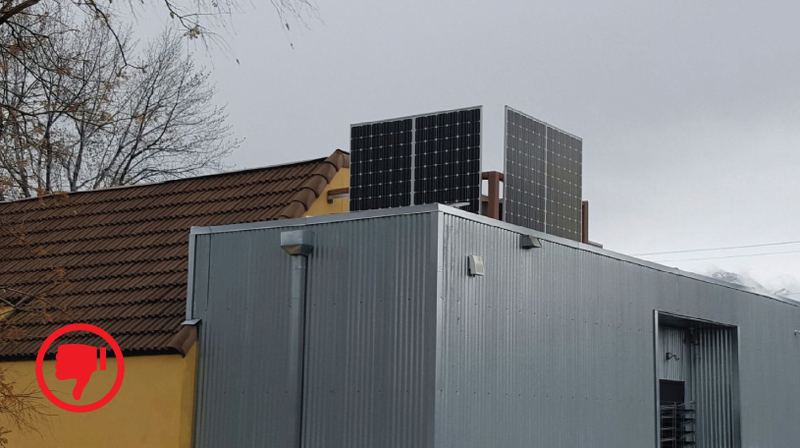 The poor design of this solar array will result in a snow or ice dam. 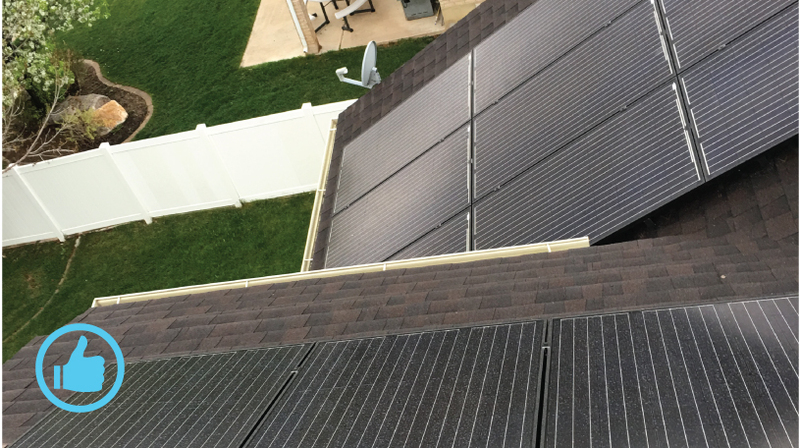 This solar array leaves plenty of space for the vent on the roof, making it safe and aesthetically balanced. 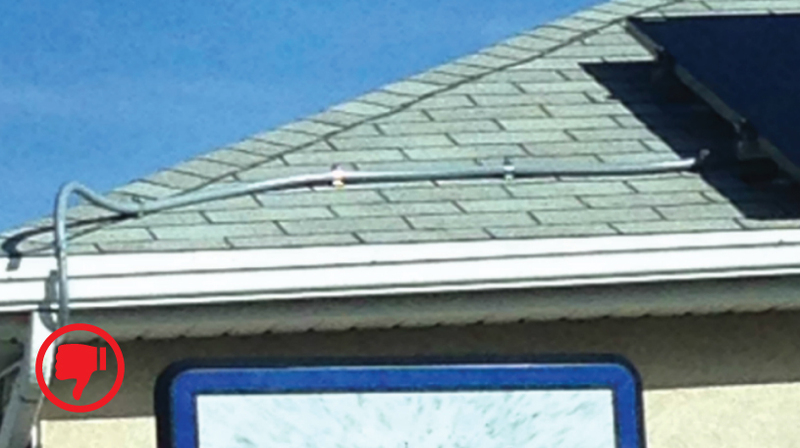 The solar company saved $13 in parts for this improper branch terminator install. We ensure high quality installations by taking training and certification seriously. Every design is peer-reviewed for unparalleled accuracy. Our team is trained and led by professionals with North American Board of Certified Energy Practitioners (NABCEP) certification – the gold standard in the industry. Our experience allows us to secure top-tier solar components from reliable companies who are financially stable. Because we have faith in the quality of our components and installation expertise, we guarantee our work and provide a full craftsmanship warranty for 25 years. We are so confident in our design and engineering team that we even guarantee the production of your solar panel system. As an Auric Energy customer, you have access to round-the-clock monitoring of your solar production. On the off chance something does go wrong, we can schedule a technician to come fix it. If you chose Auric Energy to install your original solar system, you already know about our dedication to craftsmanship and service. If you chose a different company, that’s okay too! Solar is a good thing, and we want your investment to work for you. That’s why we’re proud to announce our Field Service program, currently exclusive to the Utah market along the Wasatch Front. We expect to bring this to other states soon - stay tuned. Our fully-licensed solar specialists will help with any number of concerns on your existing solar array. Call 801-505-9288 today and ask to speak with a Field Service technician. We’re here to stay, and we’ve got your back.